ALL organice, gluten-free, super healthy and good for you. sea salt, cayenne, paprika, black pepper, cumin and sometimes I add almond or garbanzo bean flour or Bragg nutritional yeast to the mix! Lay it out so each piece is flat/has its own area. Cook on 300 for 15-18 min then turn try around for another 15-18 min. After then turn 10 min each side until super crispy. Do not stir or flip kale must let it just lay untouched the whole time. Let cool for a few mins after taking it out of oven. Another variation is to go sweet and make it with coconut oil, coconut flakes, almond flour, cinnamon, coconut sugar, ginger, sea salt- also pretty darn tasty but not for everyone. Oh and P.S. 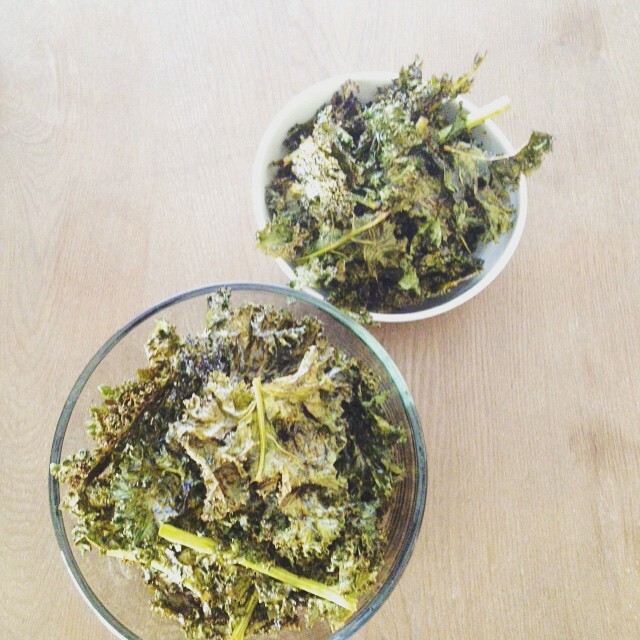 you won’t believe how much the kale shrinks up so buy a TON of it. It’s pre-washes and already pieced out in bags at Trader Joe’s if you don’t feel like doing all the crazy prep of washing and drying (like I did today-oy)! Just sayin’… Kale it up! Some new fun items in feeding my family! Featured above is a northern bean and super greens soup (recipe below) and some brown rice noodles with a vegetarian curry to pour on top- all the veggies we had went into the curry, tons of ginger, curry paste and loads of spices. My daughter enjoyed the noodles on their own which was super fun too! 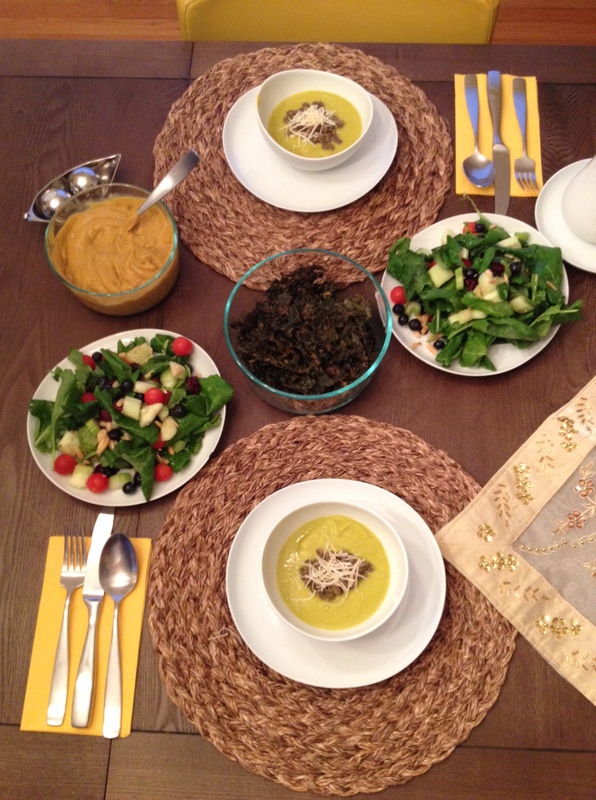 This is how I do Friday night dinner/Shabbat dinner at our place. We light candles, have wine, there’s an amazing gluten-free rosemary bread under the cover and I make an olive oil-truffle salt dip or a vinegar-olive oil, rosemary dip. Either way it’s a fun way to wrap the weekend, be grateful for what we have, reflect and to make wishes for our future. Oh and the daisies well- I just love daisies! Let it all simmer for hours until its just a yummy healthy mash that you can eat alone, add water to make a soup, pour onto rice or quinoa. It was so damn good even though it looks a little weird. I promise. I felt SO good on the days I ate this. Seriously. 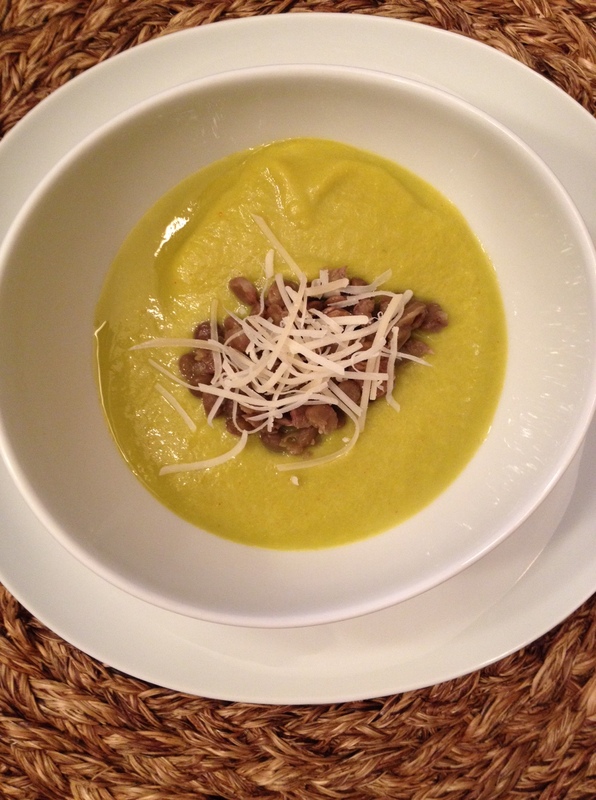 This soup rocked! 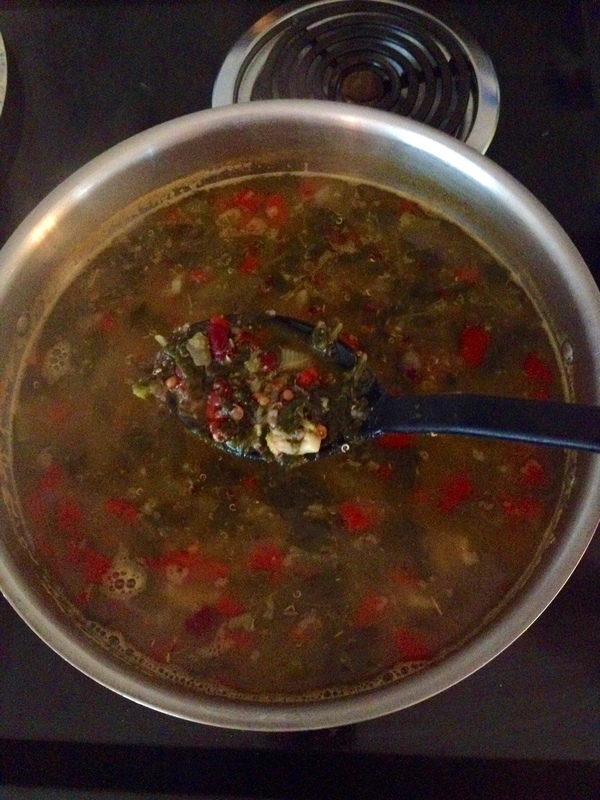 I boiled water and lemon juice with diced celery, roasted red peppers, organic northern beans, white organic quinoa, organic lentils, diced organic fennel, organic spinach, organic broccoli, organic swiss chard and collard greens, kale and a lot of cayenne pepper. No salt added. That was it. It was super detoxifying and satisfying too! I had fennel and asparagus and I was like- why not try some kind of soup with it (chilled btw this was a cold soup). So I blanched both the veggies then put them in the VitamiX and added cayenne pepper, a dash of sea salt, some lemon juice and done! 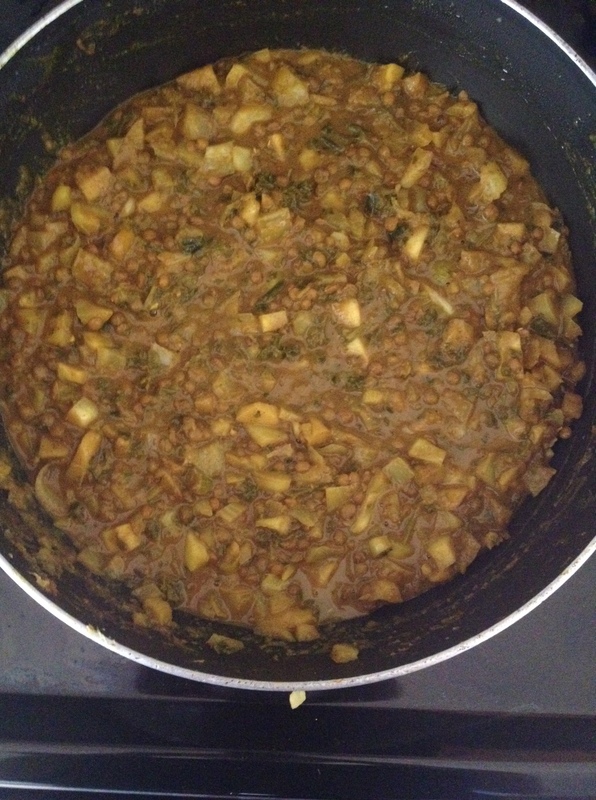 Garnished with some organic lentils and parmesan cheese. (If you omit the cheese this is vegan). So good if you’re into asparagus and fennel like I am! 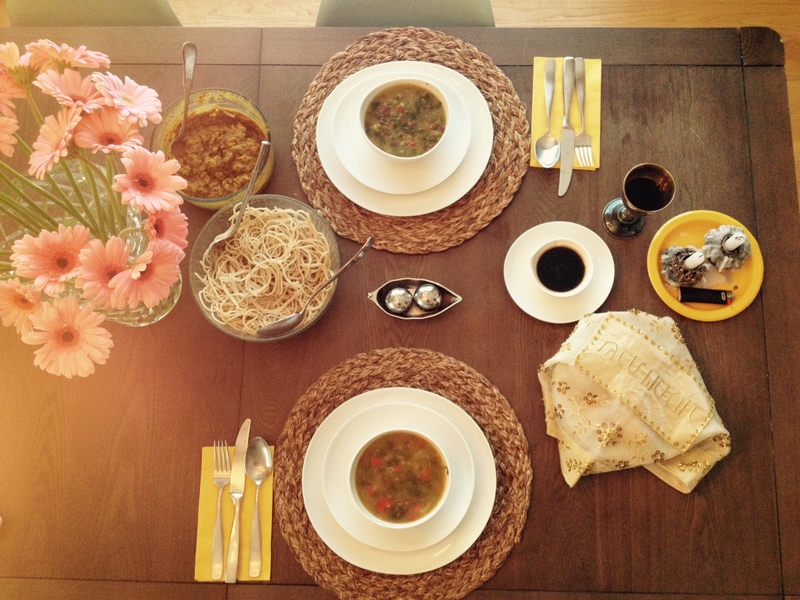 Here the soup is served as a part of one of my Shabbat dinners. 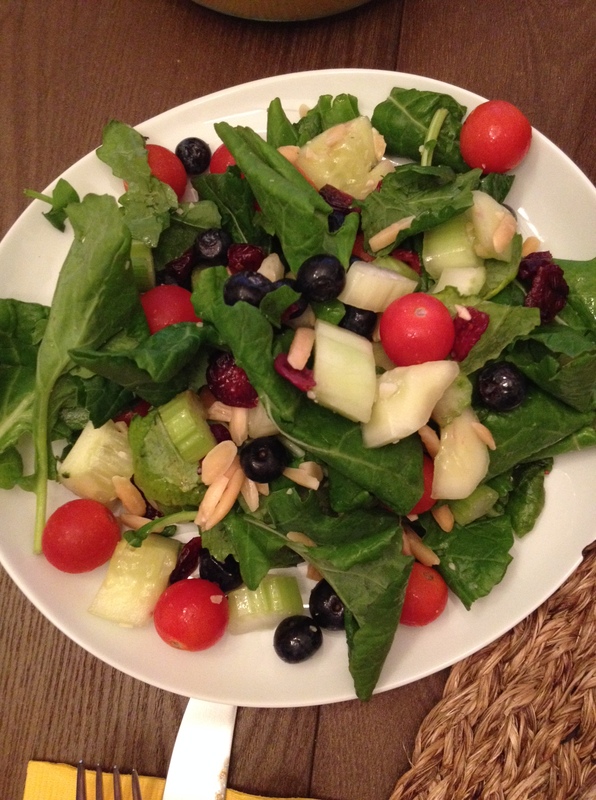 In addition was this rad salad (baby kale with cucumbers, celery, cherry tomatoes, blueberries, dried cranberries, almond slivers and apples) and some kale chips. 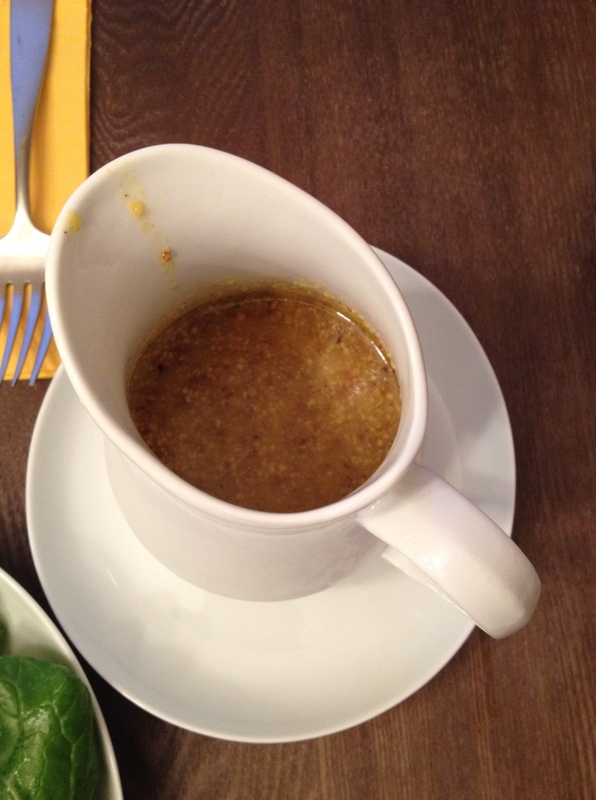 I also made a honey-dijon dressing. 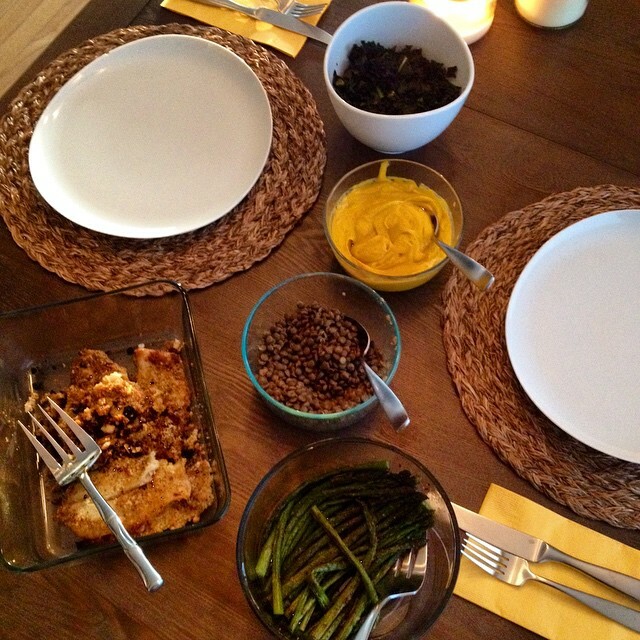 Kale Chips, sweet potato ginger/tumeric/curry mash, pepper and lemon peel dusted asparagus, almond meal and spices crusted Dover sole… Oh and not pictured is my latest obsession- cucumber, mint and lemon infused water.